7. I am a “Mad Men” fanatic and just found out today that there may be no 2011 season and no new episodes till 2012…NOOOO! Lady Eve, congratulations on your win, Dawn shows great discernment and style. I knew you were a fan of MAD MEN (no episodes until 2012 probably means 1966 will vanish into the television mists just as 1961 did). 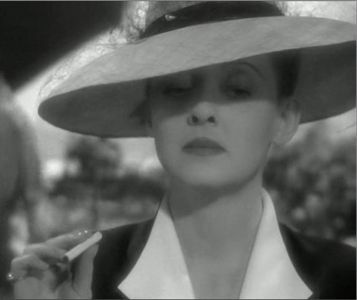 I didn’t know that you had met Loretta Young, but I’m sure you have a lovely anecdote about an equally lovely lady. Thank you for the blog love and for the mention, and as always I enjoy reading your very stylish blog (especially like your choice in new background and theme). 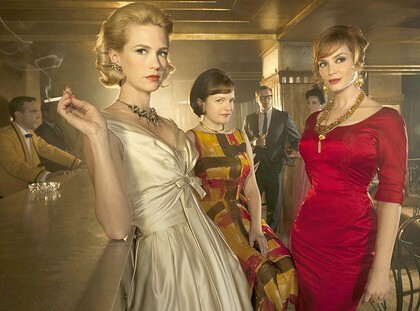 I'm just hoping that "Mad Men" itself doesn't vanish into the television mists. Glad Dawn picked you...I learned a lot of new stuff about you. Congratulations, Eve! Dawn paid you a well-earned compliment. Glad to know more about you from the seven questions. I really enjoyed learning more about you. Loved reading about your Loretta Young experience. good for you...stylish is always better than "style-less"...love your new look blog, but I think that I am suffering from "white out"....lol!! Congrats on the award! How fascinating that you work in TV. How did you get into something like that (genuinely curious!)? Kendra...it started in radio and eventually led to TV.